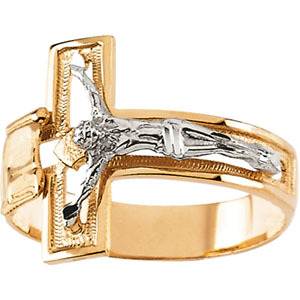 14K two tone gold mens crucifix ring. Available in whole finger sizes from 5-12. Personalize your crucifix ring with inside ring engraving. This crucifix ring is sized to order so please allow 3-4 days for your order to be shipped.